This native SE Asian fruit is round, about 1" diameter, with white soft pulp. 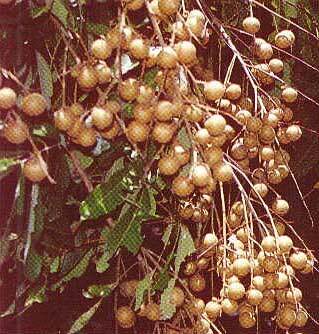 Longan has a perfumy flavor that is delicate and sweet. Eaten as a snack, often served in a bowl with ice cubes. 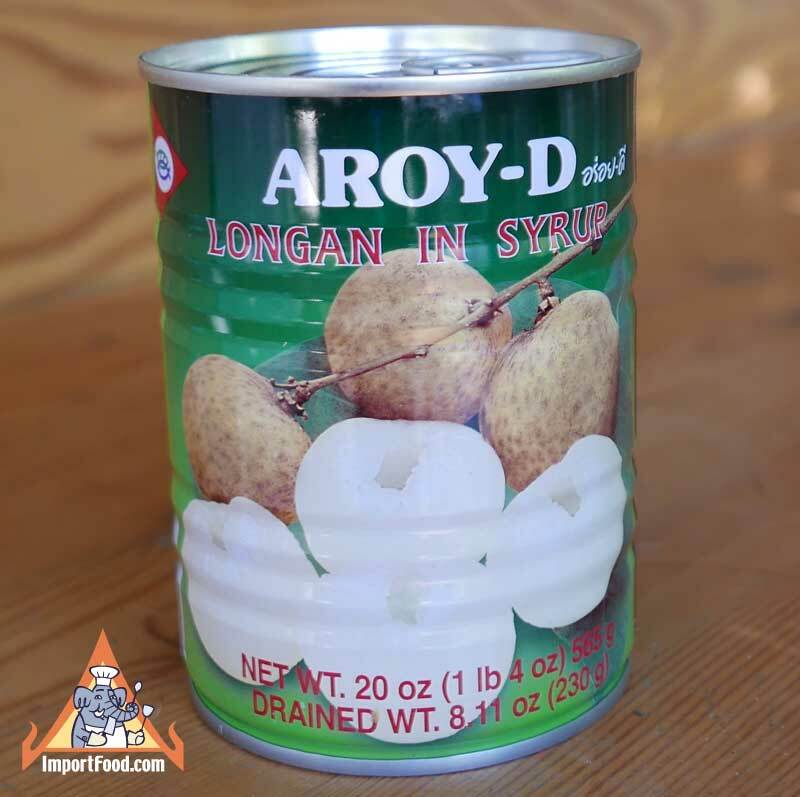 We offer a premium quality large longan packed in easy to open pop lid, this is the best canned longan on the market. More on longan at this link. More on Longan. Closely allied to the lychee, the longan has been referred to as the "little brother of the lychee". 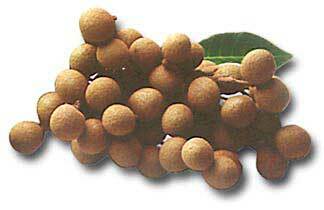 Longan is slightly smaller than lychee, and with a dull brown skin which is smoother than that of the lychee. The fruit taste is similar, and the value of longan on the market is due to the fact that its season follows that of the lychee, extending the period when this type of fruit is available. According to the esteemed scholar, Prof. G. Weidman Groff, the longan is less important to the Chinese as an edible fruit, more widely used than the lychee in Oriental medicine. Medicinal Uses. The flesh of the fruit is administered as a stomachic, febrifuge and vermifuge, and is regarded as an antidote for poison. A decoction of the dried flesh is taken as a tonic and treatment for insomnia and neurasthenic neurosis. 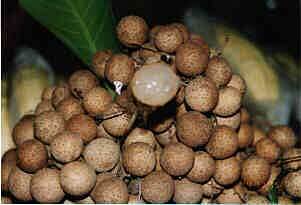 In both North and South Vietnam, the "eye" of the longan seed is pressed against a snakebite in the belief that it will absorb the venom. Leaves and flowers are sold in Chinese herb markets but are not a part of ancient traditional medicine. The leaves contain quercetin and quercitrin. Burkill says that the dried flowers are exported to Malaysia for medicinal purposes. The seeds are administered to counteract heavy sweating and the pulverized kernel, which contains saponin, tannin and fat, serves as a styptic.